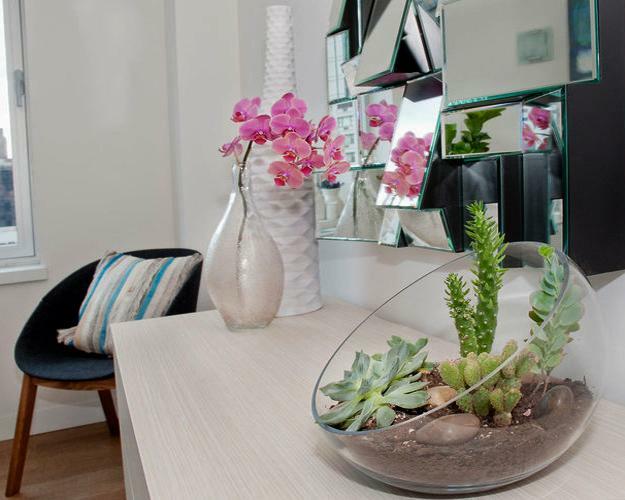 Spiky plants brighten up interior decorating bring beautiful contrasts and unusual accents into homes. 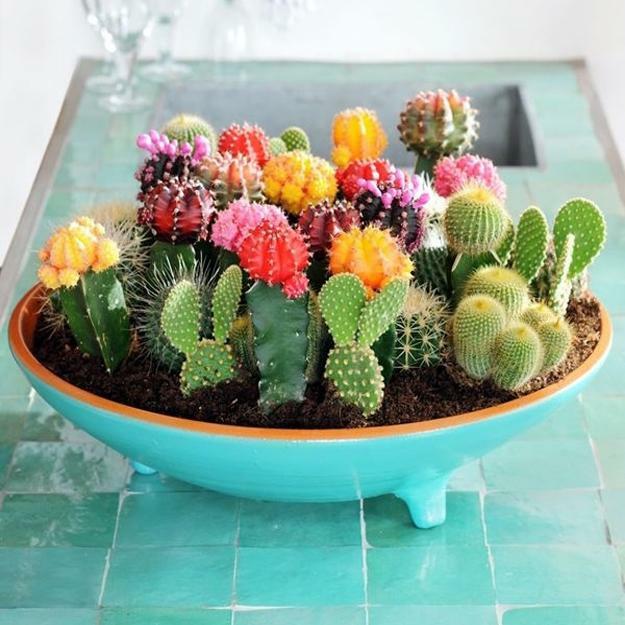 Decorating with desert plants looks original and stylish. 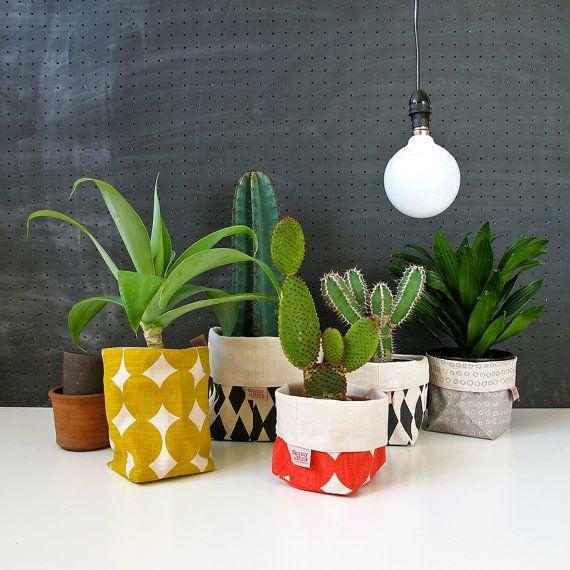 These plants feature simple, almost geometric forms which make them suitable for any room decorating style. 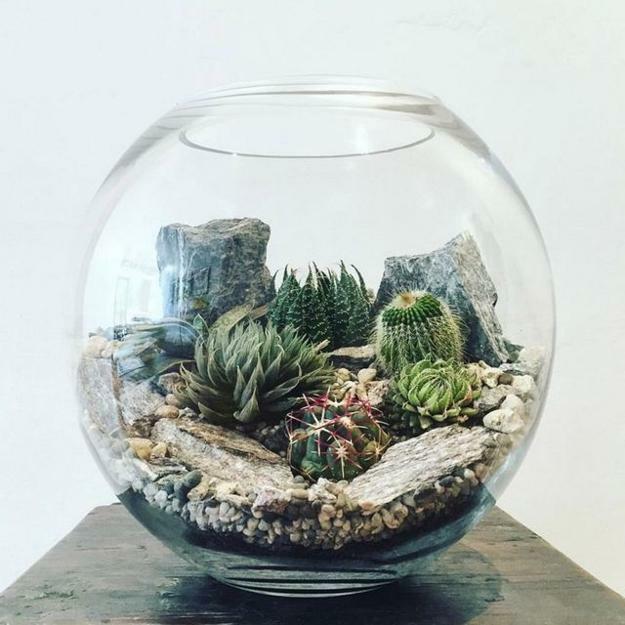 They look beautiful with other house plants and all natural materials, wood, rocks, sand, glass, metal. 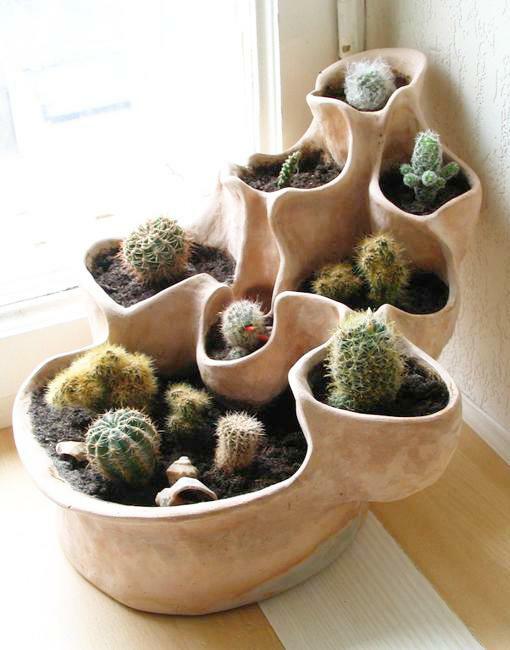 Cacti are perfect, attractive, and cheap decorations that bring an eco vibe to modern interior decorating. 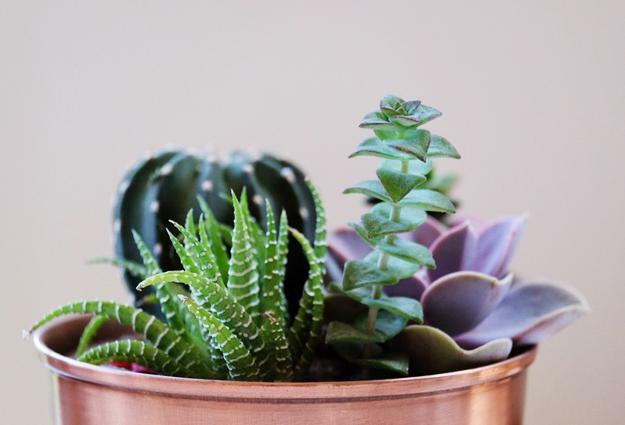 The small plants grow in terra cotta pots and glass terrariums, creating fabulous table decorations and centerpieces for shelves, desks, and window sills. 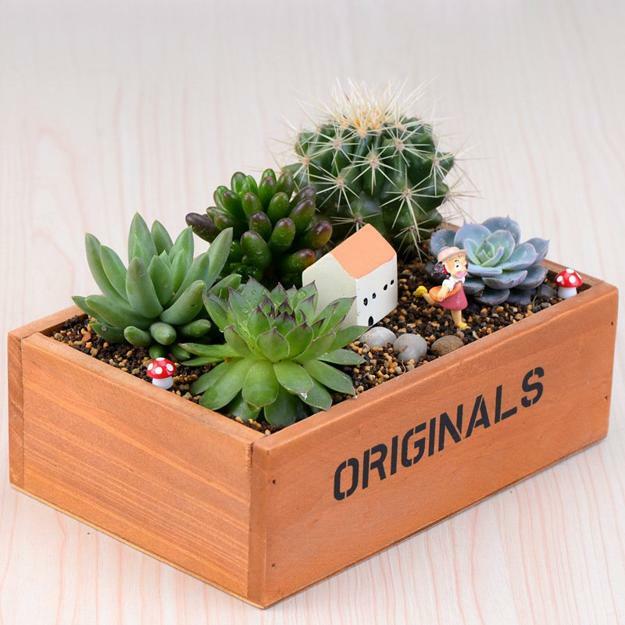 Cactus plants and succulents collect moisture, and the circulating water helps Feng Shui interior decorating, attract wealth, health, and luck, ancient Feng Shui experts say. 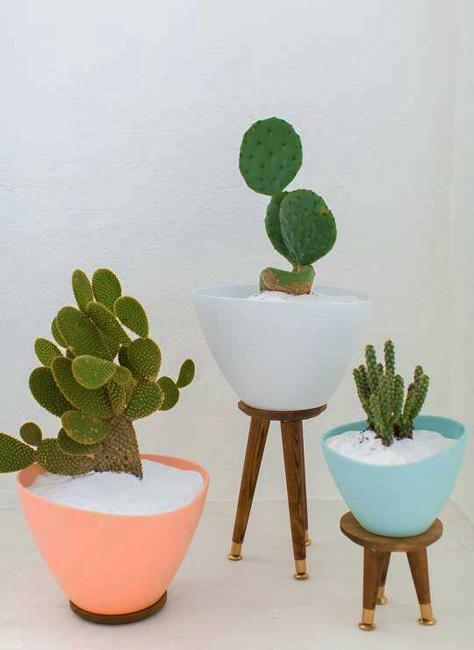 Although the spikes radiate negative energy, the cactus plants are beautiful Feng Shui cures that help harmonize an interior decorating. These plants have an amazing ability to collect and radiate energy into space. Consistently receiving negative energy directed towards a person causes tiredness, strife, and discord. 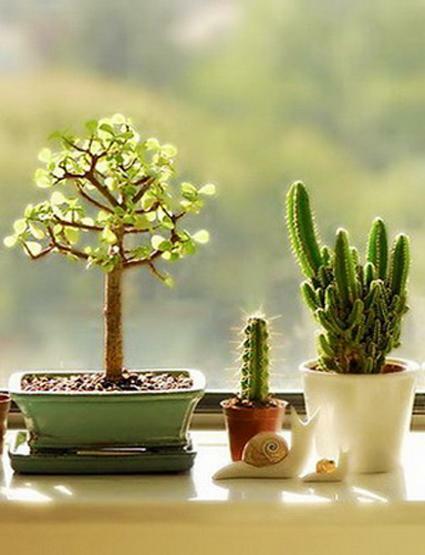 The right spot for a plant with spikes is necessary to find to Feng Shui a house, room or office desk. 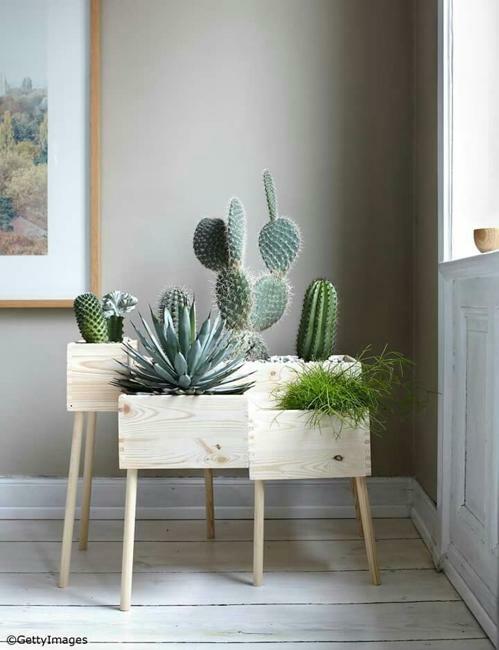 Good Feng Shui placement of cactus plants protects people from the harmful energy that cactus spikes radiate in all directions. 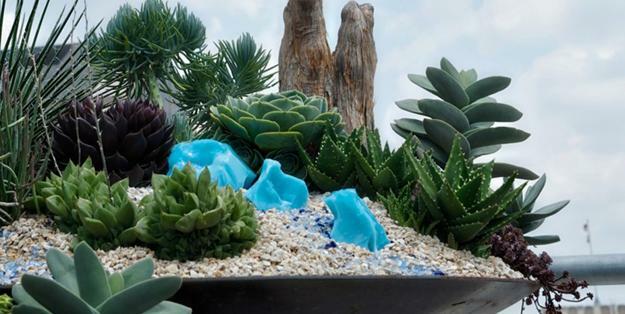 Yin energy slowly circulates inside of the succulents in the form of absorbed water. The water flow helps Feng Shui the house. Also, cactus spikes shoot negative energy. 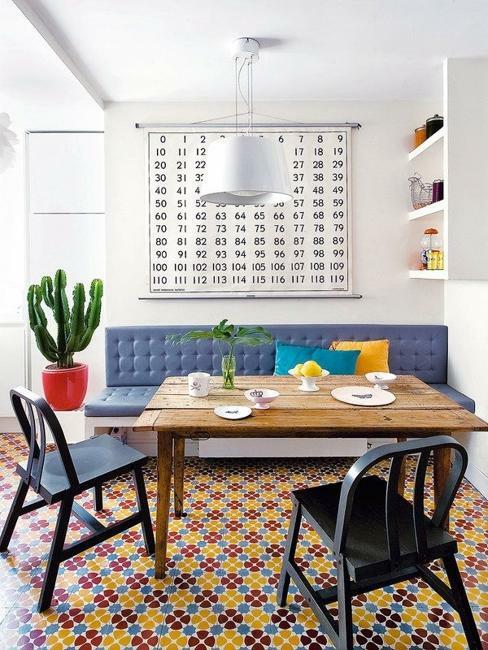 Good Feng Shui placement of cactus plants is crucial for creating an energetically balanced, pleasant, and energizing interiors for people and pets. There are a few smart, easy, attractive ways to protect people from the negative energy rays coming from the cactus spines. 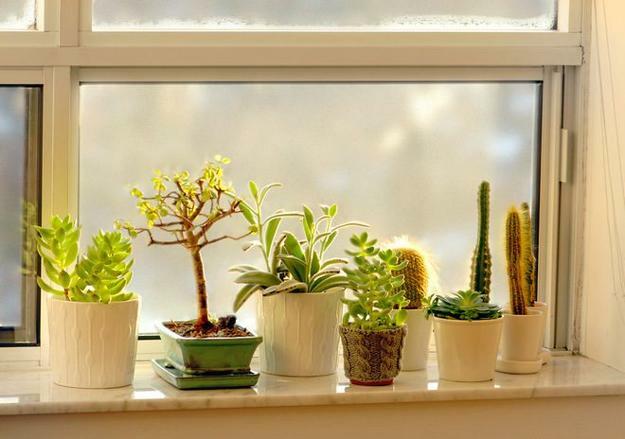 Bright interior decorating ideas, good Feng Shui placement of cacti, and proper care for these plants harmonize rooms, create a pleasant and balanced environment, enhance interiors and Feng Shui a home for wealth. 1. 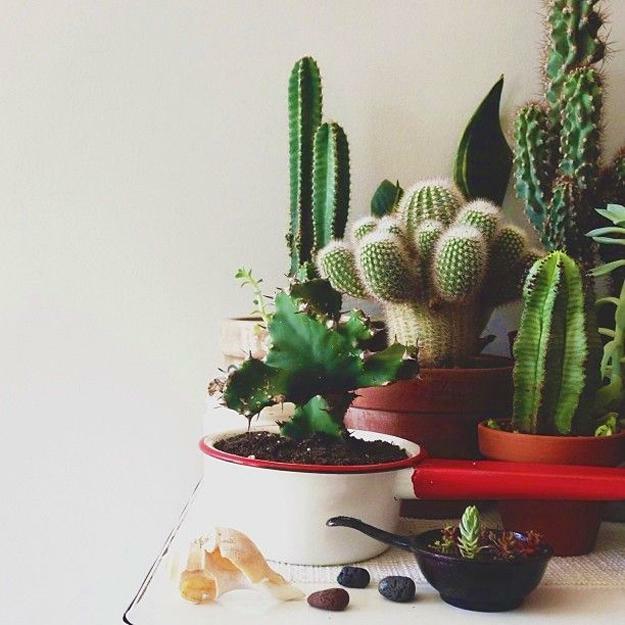 Placing cacti beside other house plants with large round leaves is an excellent idea. 2. 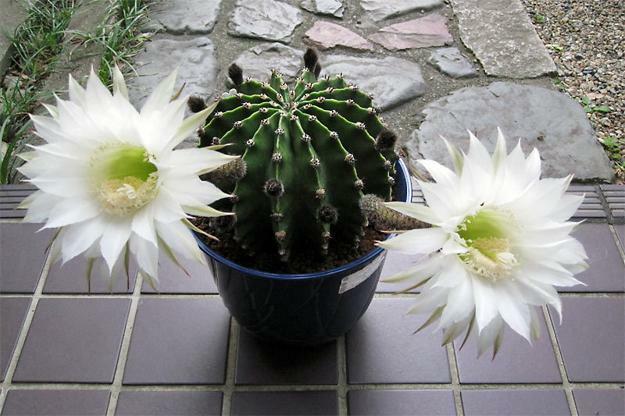 You can combine a few prickly plants in one pot and disperse the negative energy. 3. 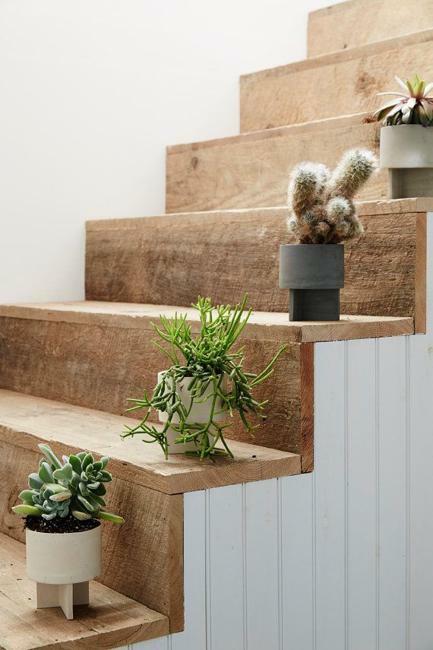 Placement of the plants on different height, on shelves or staircase steps, allow decreasing the power of the spikes also. 4. 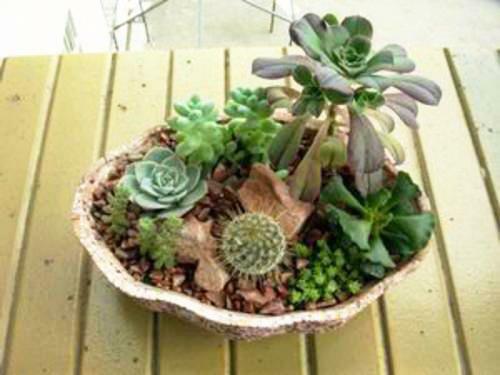 Surrounding a prickly plant with round leaves of other house plants is a perfect idea. 5. 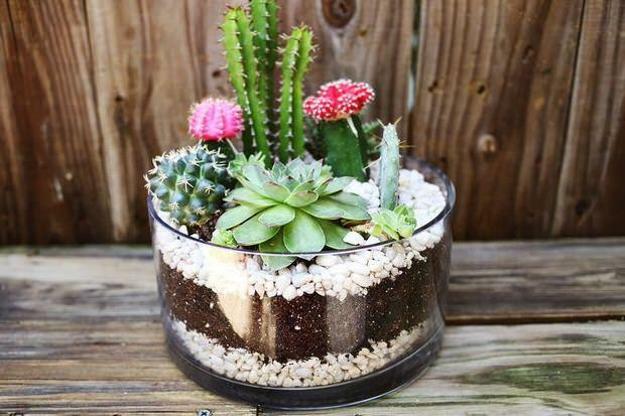 Glass terrariums, tall or wide glass vases are fabulous ways to grow cactus plants and decrease the power of their spikes. 6. Fresh flowers are a simple and beautiful solution for neutralizing negative energy coming from the spines. 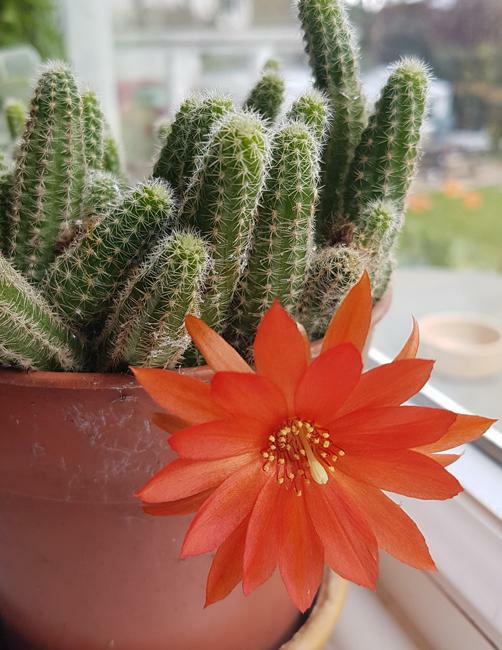 Most cacti bloom in January, so fall and winter months before Chinese New Year celebrations in February are the best time to decorate with these house plants. 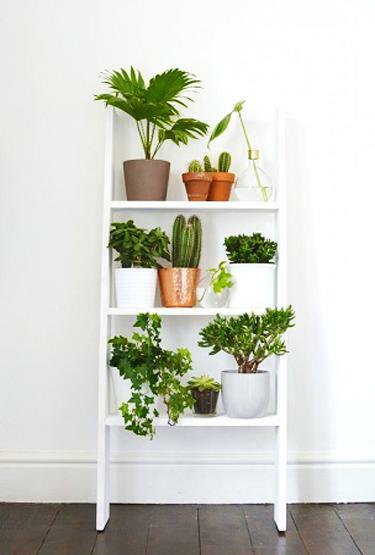 Healthy plants are beautiful Feng Shui cures and eco-friendly, cheap decorations for modern homes.